I wonder how many truckers bought a set for their truck verses how many hot rodders slapped a set on their souped up go jobs! the very first AUTORAMA is often documented as happening in 1953 and being sponsored by the newly formed Michigan Hot Rod Association (MHRA). The little known truth is that there were two similar shows that were held in 51 and 52 sponsored by Hotton & Sullivan! 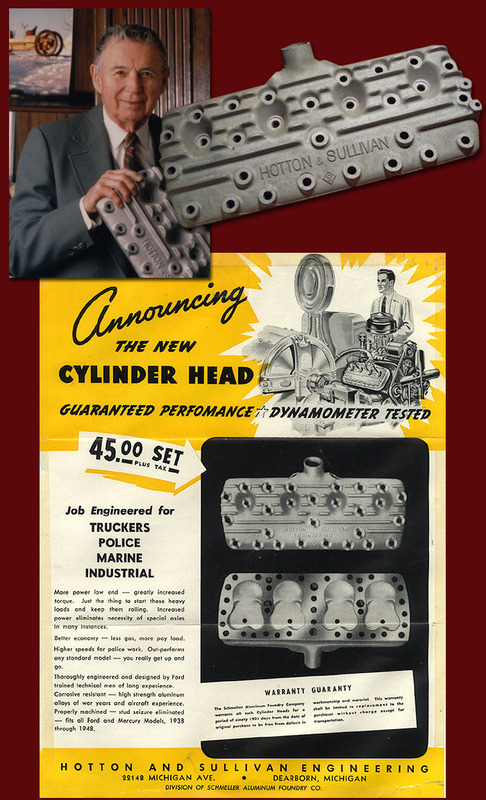 I also found an add for the H & S Heads in the back pages of the second addition of Hot Rod magazine. If you have a set let me know.